Edge One Media opened in 2003 as a Graphic, Print and Web Design Company, in 2010 we added a Marketing and PR division. Since then we have received both National attention and Regional awards for our work with OHSU, Kyra’s Bakeshop, World Trade Center, Chambers of Commerce, and the Portland Trail Blazers. 2. What makes your products and services unique? We provide a quality and value that is unmatched in our industry at our price point. We want to see our clients succeed and know how to position and prepare them for that success. 3. How do you see your business evolving over the next several years? We look forward to developing relationships with Tualatin business owners, and are looking forward to growing our business here locally. We should be announcing some exciting things this summer. Like us on Facebook or Follow us on Twitter to see what is in store. 4. 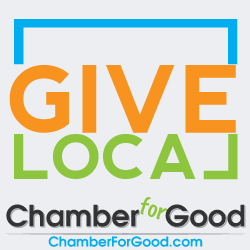 How do you and your business give back to the community? We are involved with many local non-profits in many different ways. One of our favorites is with the Tigard / Tualatin Relay for Life. This will be our 4th year volunteering with other community leaders.